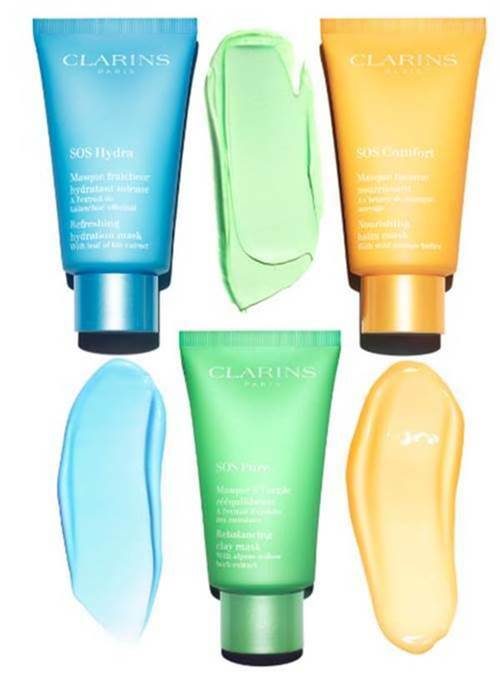 If you need a quick fix, look no further – Clarins SOS Masks are the ultimate beauty solution. With three different options for all of those in need of a ten-minute skin reset – quickly hydrate, purify or nourish your skin! SOS Hydra: The 10-minute moisture fix for dull, tight, thirsty skin—this hydrating face mask contains super-quenching Leaf of Life extract to smooth fine lines, soothe irritations and revive radiance. Refreshing cream-gel formula enhances skin with a healthy-looking glow. 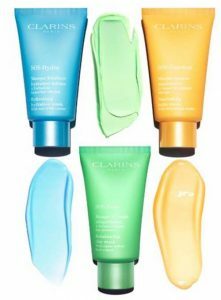 SOS Pure: The 10-minute radiance reboot for oily skin—this purifying clay mask contains Alpine Willow Herb to remove impurities, downsize pores and defy shine. Powdery cream-paste texture leaves skin clean, refreshed and glowing—never dry.